… and I failed. Miserably. Well, miserably if you consider it absolutely essential that they be perfectly round. They are energy lumps, which sounds like a bizarre, Black Eyed Peas-esque euphemism for breasts. But all is not lost — whatever you want to call them, these snacks taste pretty good, so I may as well tell you how I made them. I used the Almond Butter Oat Balls recipe from Two Peas & Their Pod. My failure, I think, is entirely down to me being too enthusiastic with the microwave when I softened the almond butter and coconut oil, rather than the fault lying with the recipe itself. I wouldn’t say the oat balls/bites (bites? I’m going to call them bites; it sounds nicer than ‘lumps’) were a particularly healthy snack — they’re more like a (delicious) vegan alternative to chocolate or cake. They’re tasty, moreish, and there for you when you need them. 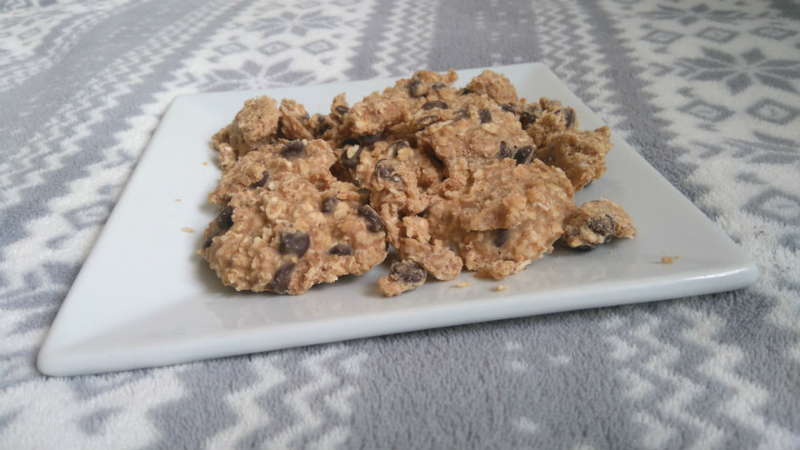 Mix in the oats, coconut, honey/maple syrup and dark chocolate chips. Shape the mixture into balls and put them in the fridge for at least an hour before eating. Have you ever had any kitchen mishaps? Let me know in the comments!